One of my favorite things to do this fall is to can jams and butters! There is just something about making something from scratch and having it last you for the next several months. I also love the idea of using the foods that the Lord has given us and using them in more creative ways. 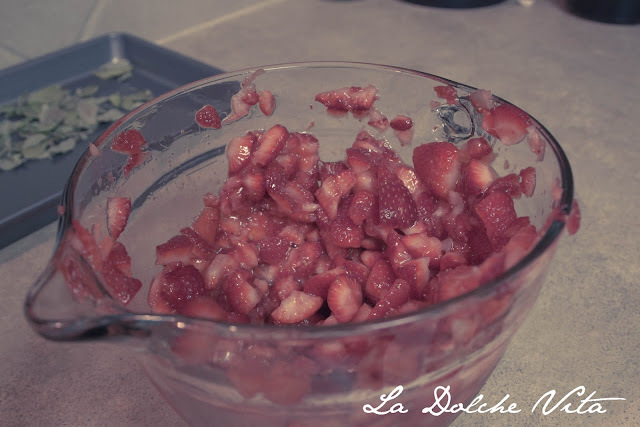 I have posted before that I've made strawberry jam, however I didn't actually post HOW I make jam. So I wanted to share this really easy recipe with you! Strawberry jam is actually one of the easiest things to make. 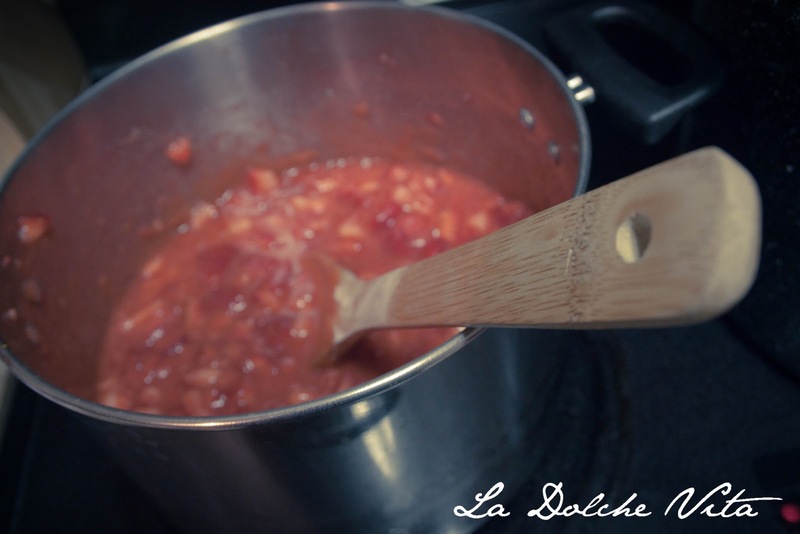 It only requires a few ingredients and (in comparison to other jams and butters i've made) it doesn't take too long. 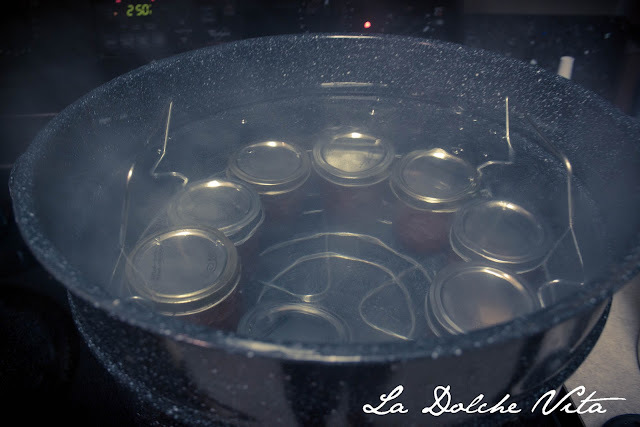 Step 1: Fill your water bath canner with water (enough that it will be about 1-2 inches above the jars) and put it on high heat, it will take a while to get hot enough. Step 2: Cut the strawberries into small pieces. 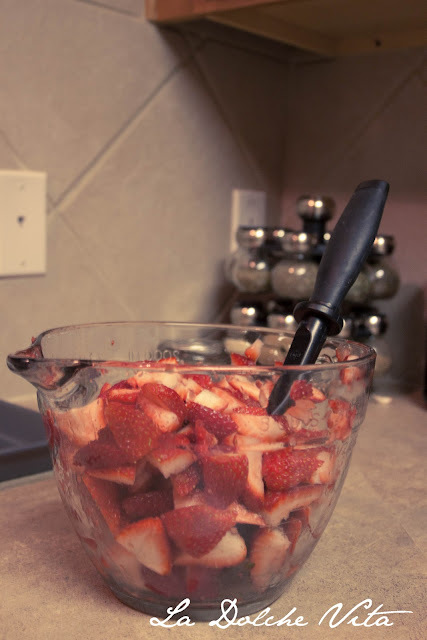 Step 3: Take a potato masher or meat masher and mash up the strawberries as much as possible. Then pour the strawberries into the large stock pot. 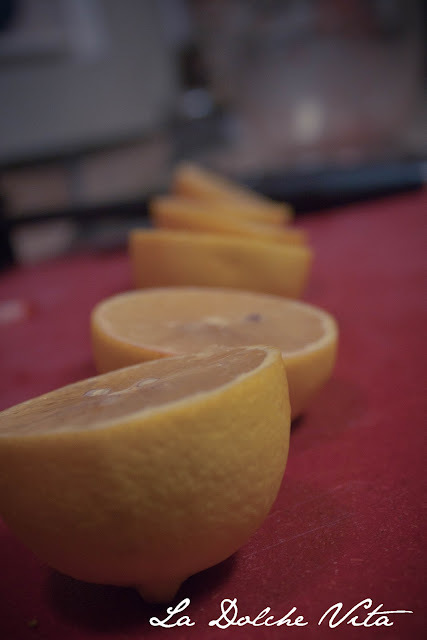 Step 4: cut 3 lemons in half and squeeze out as much juice as you can. 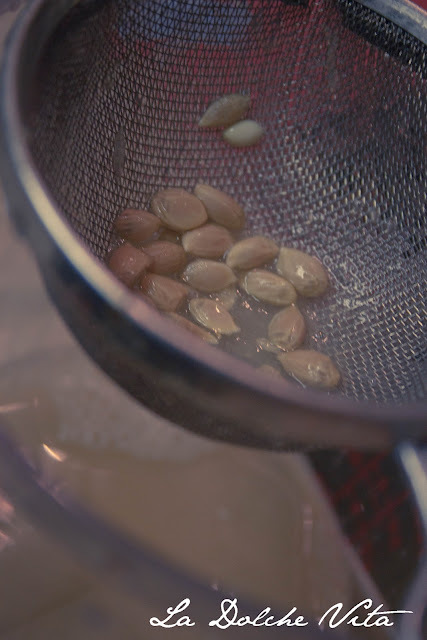 You can squeeze them into a strainer to avoid the seeds from going into the juice. Mine made about 1/3 of a cup. 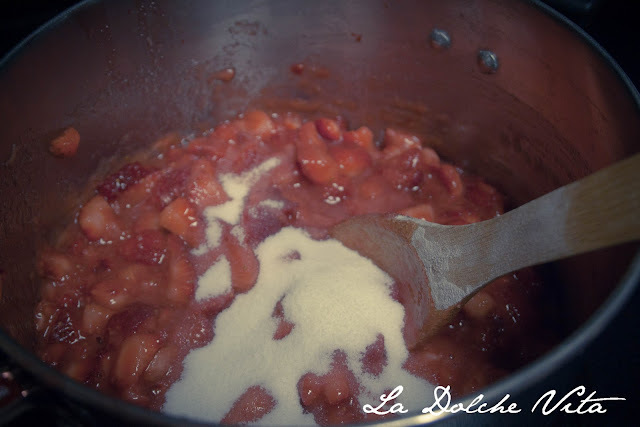 Note: If the jam isn't thick enough, add more sugar, allow to cook a few minutes and spoon some out again. 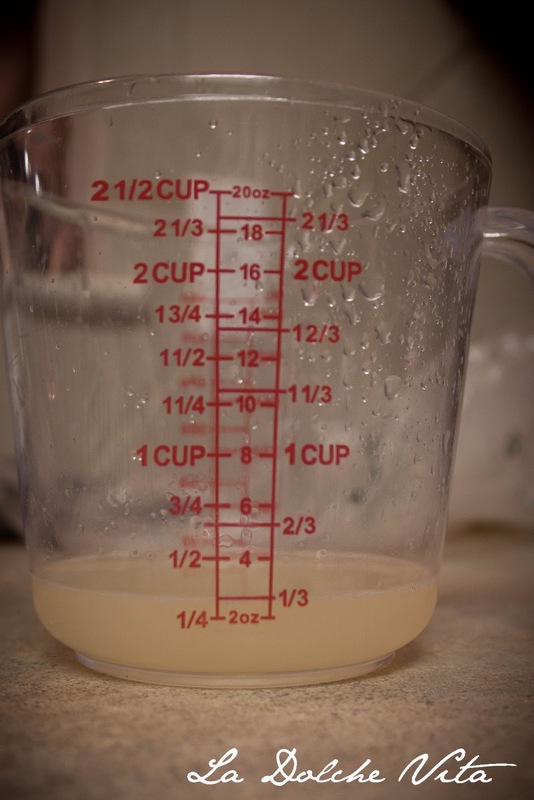 You want it to become almost like a gel consistency. Step 8: While the jam is cooking, take your 1/2 pint jars and you want to sterilize them. I found a really easy way to do this while searching the internet one day. Take the jars, take off the lids, and put them on a baking sheet. Put them in the oven at 250 degrees for at least 10 minutes. Once you are ready for them, pull them out of the oven and fill immediately. Step 10: Once the jam is of the correct consistency, take your jars out of the oven and begin to fill them. 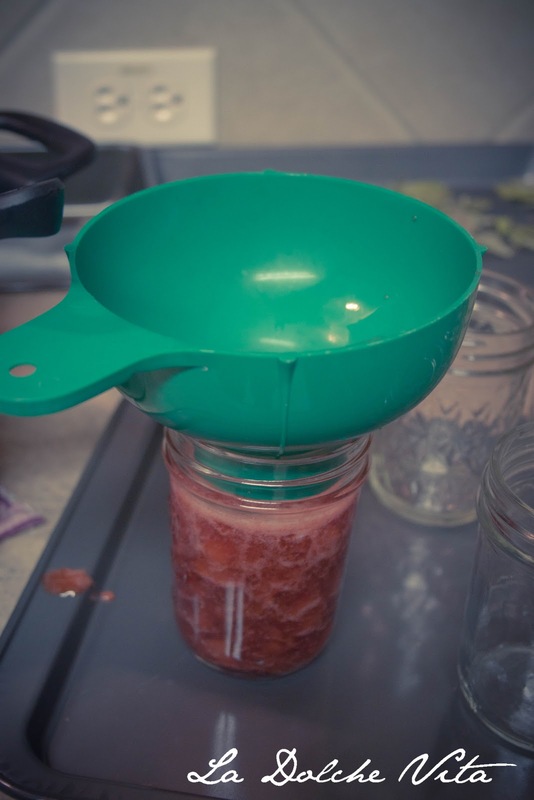 Make sure to use the jar "funnel" so you don't make too much of a mess. 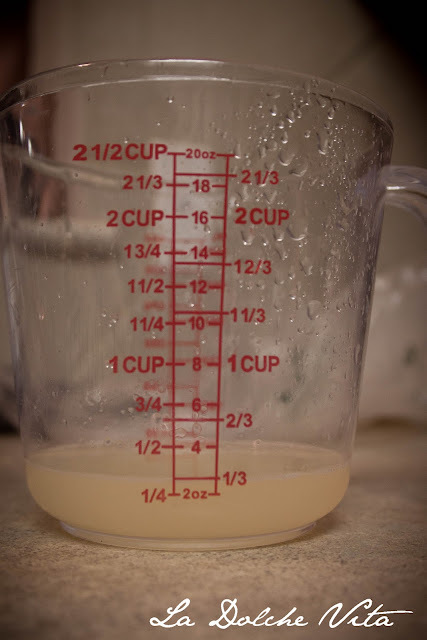 Fill the jars so that there is about 1/2 inch at the top for what is called "head" space. This allows the jar to seal properly. Step 11: Use the magnetic lid lifter to take the flat lids out of the very warm water and put them on the jars and close them with the screw on top. This will hold the lid in place til it seals. There are two ways to tell that they have sealed properly. 1. You will hear it make a popping sound. That means that the top has popped down and it is sealed. You now have yummy homemade jam!! If you have ANY questions let me know and I will do my best to answer them for you! What are some of your favorite kinds of jam?